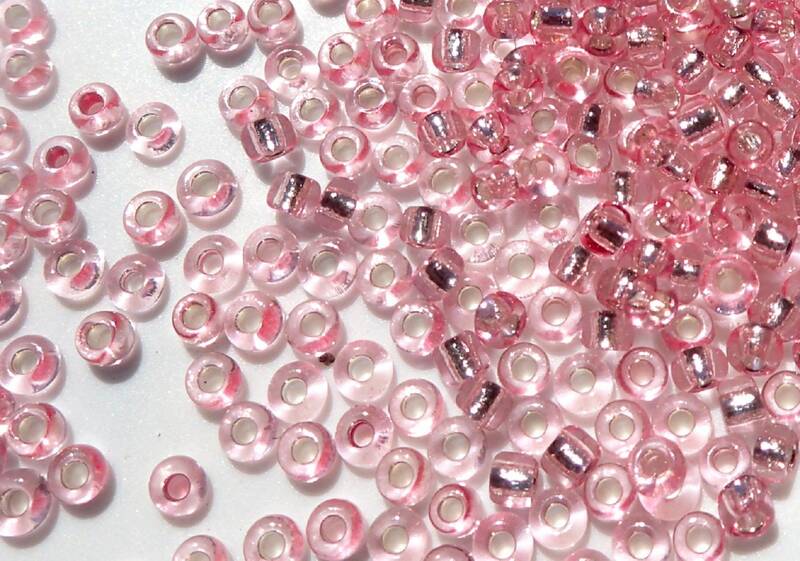 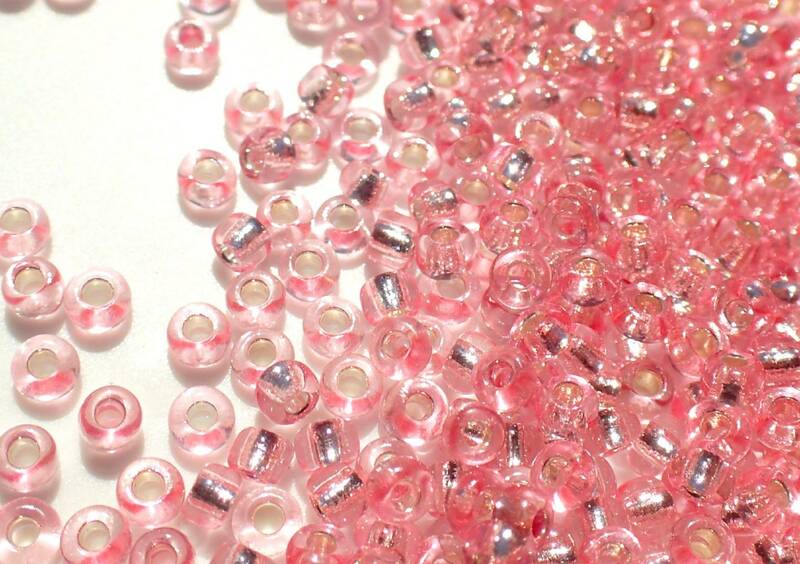 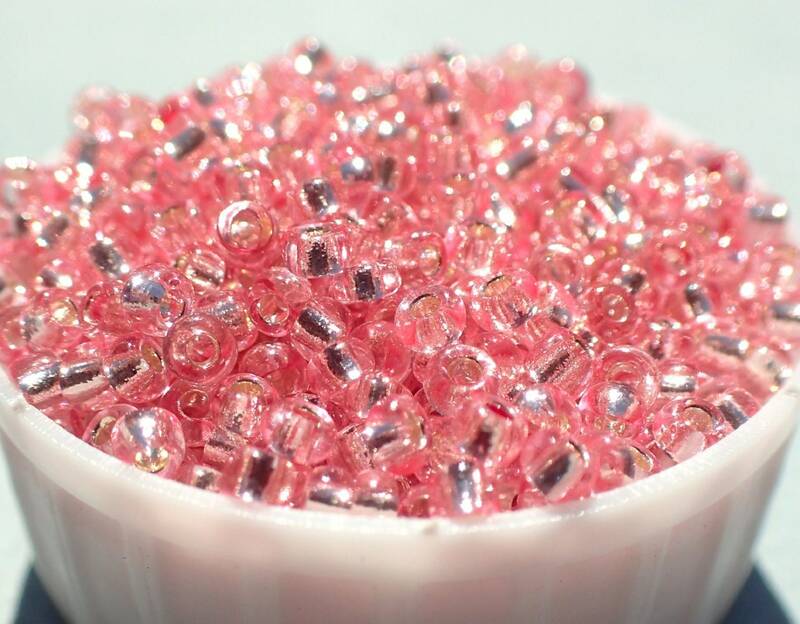 These are lovely glass seed beads in a pale translucent pink color with a silver metallic lining. 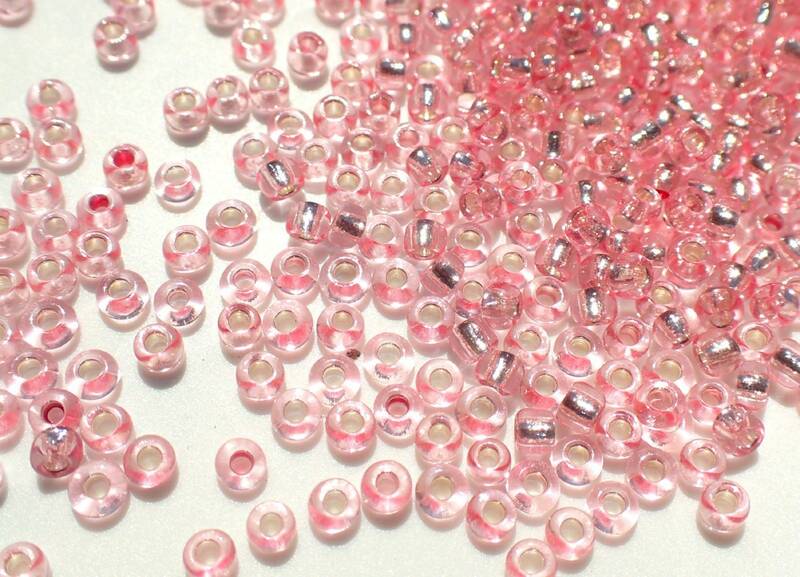 They are 2mm in size with a hole approximately .8mm. 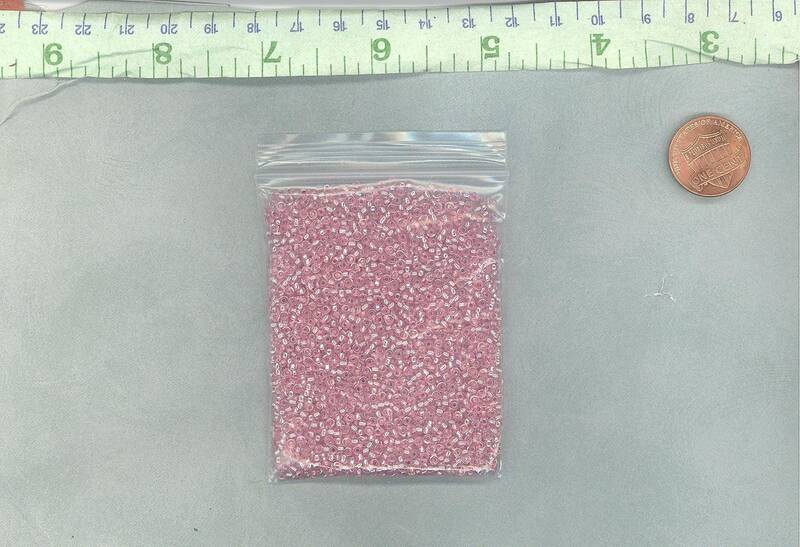 This is for 1500 beads, which is about 23g. 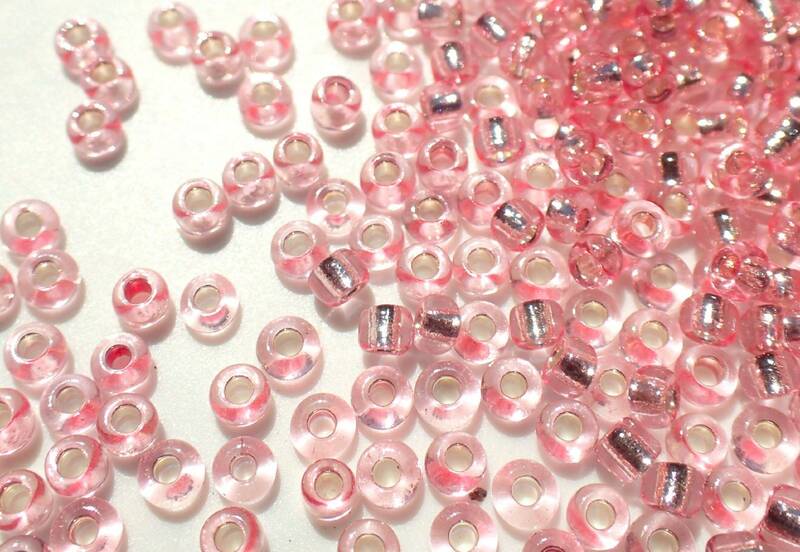 Use these in your jewelry, or use them in your mixed media, including your mosaics.